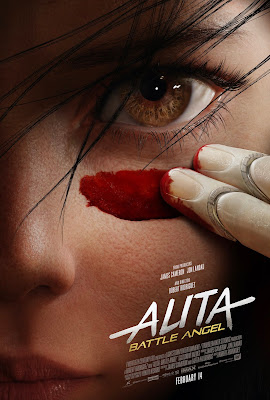 Here's a fantastic upcoming movie, "Alita: Battle Angel" will be screened in Miami on February 4, 2019. This action movie will be amazing to watch, but even more it will be a special screening hosted by "Un Nuevo Día’s" Francisco Caceres and it would have a Q&A session with director Robert Rodriguez and Producer John Landau. Here's an opportunity to win two seats to this incredible prescreening. To enter you must be subscribed to my YouTube channel: Thisfunktional and follow instagram.com/Thisfunktional and email me your full name and mailing address with the subject line #ThisfunktionalContest #AlitaBattleAngel to Thisfunktional@Gmail.com. Disclaimer: Winners will be chosen randomly. Contest runs to January 25, 2019 at noon. No purchase necessary. Prize provided by Arenas Group. Only open to the U.S., no PO Boxes or international addresses. Only one entry per household. Entries on behalf of another person will not be accepted and joint submissions are not allowed. We will not accept entries of contestants who have claimed a prize in the last 6 months.